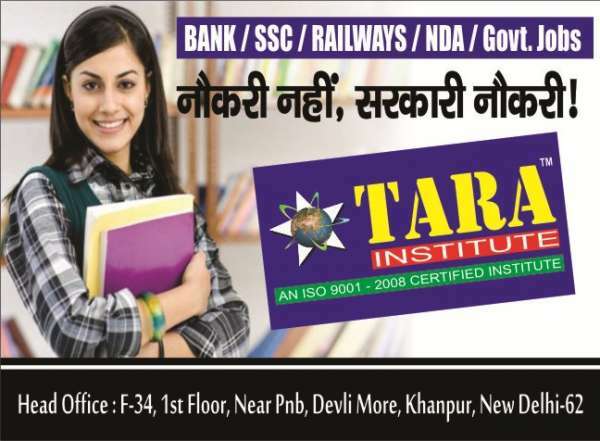 011-64644951-52-53 Tara institute is an initiative of young Bankers, Railway, MBAs and eminent educationists who have a rich experience of competitive entrance exam preparation. Our Aim is to make entrance examinations a cakewalk for the students who are seen running from pillar to post in search of good guidance and to create a global education. We desire to make competitive entrance exam preparation guidance affordable for those students who have loads of talent but remain deprived of quality study material due to high cost. We offer world-class comprehensive preparation services for various competitive entrance examinations. We have scaled amazing heights and have set up benchmarks for other competition coaching institute. 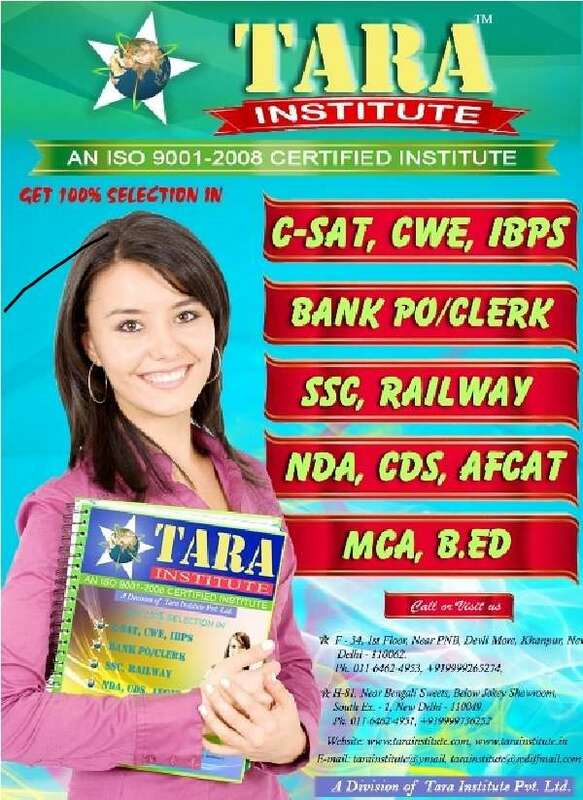 We cover all the aspects of ideal competitive education in delhi and India as well. 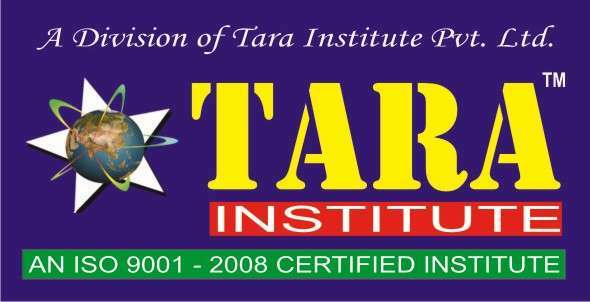 In Tara Institute?s preparation program with its course contents has been touted as one of the best in the industry by the subject experts. They have always been a trendsetter in all competitive education. 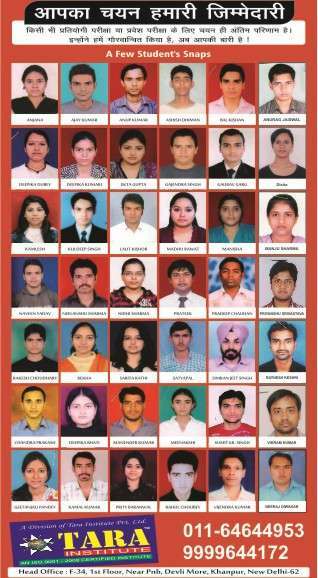 That is why, we are proud to be the best coaching institute in Delhi in India. We provide a truly world class environment to study and equip them to become global identity. The Faculty of our institute comprises of one of the best in the industry which gives the institute a definite edge over other coaching centre and institutes. Over a period of time, we have topped the competitive survey chart and have gained a lion?s share in most of its findings. Our passion for supreme quality education is evident in every endeavor undertaken at the institute. We are proud of our faculty consisting of dedicated thought leaders, an infrastructure that can compete with the best and a curriculum that is upgraded regularly to keep in tune with industry needs.